This was a lovely little loft right downtown. There was parking. Everything you need to cook and be self sufficient is there. Very bright. I loved this place ❤️ so cozy and warm, when outside was freezing weather. Great location. Lady greeted me, she was very professional and welcoming. No doubts would come back again. Price is soo good too. Many thanks P.S. was sad to leave, enjoyed a lot. Excellent location. Both old and new town are very close. Akropolis is 5min drive away. Coffee shop right next to the building, pubs, shops. The apartment is very centrally located and provides easy access to both the old town and the new town. It is spacious and airy and contains all essential requirements. The apartment looked much better than on the pictures. The bathroom was great and the bed was very comfortable. Arrival in Kaunas was at the bus station. Confirmation by email of time and meeting place for pickup was great ! Apartments location are in central area short walk (15min) from bus station. Parking is available. Restaurants Cafes Food shops within 50m. 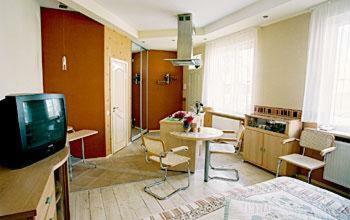 Lock in a great price for Kaunas Apartments – rated 8.2 by recent guests! One of our best sellers in Kaunas! Kaunas Apartments are located in the very center of Kaunas, on Laisvės alėja. Each apartment has a cable TV, seating area and a free internet connection. All apartments are decorated in light pastel colors. 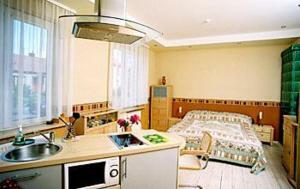 All have a kitchen or kitchenette with a microwave and refrigerator. 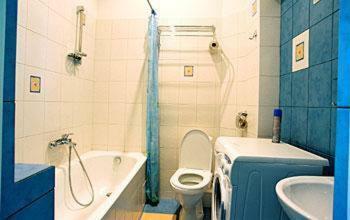 Each private bathroom has both a shower and a bathtub. In addition, a washing machine is included. There is a car park in the courtyard, and the staff of the Kaunas Apartments can arrange a free pick-up from the Kaunas bus or train station. Kaunas’s Old Town is within 0.7 mi, and St. Michael the Archangel's Church is within 800 feet. The Vytautas Magnus University is within 1,000 feet. There is a funicular railway a 5-minute walk away. The Akropolis and Zalgris arena are both within a 7-minute walk. 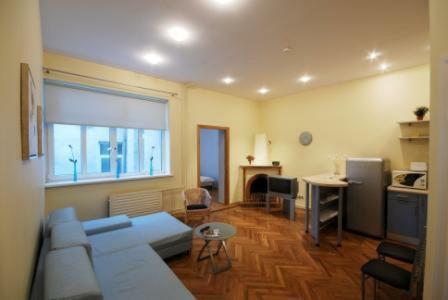 뀐 Located in the top-rated area in Kaunas, this property has an excellent location score of 9.0! When would you like to stay at Kaunas Apartments? Spacious studio with cable TV and a bathroom with shower. There is a kitchenette and a seating area. An apartment with a separate living room with a sofa bed. 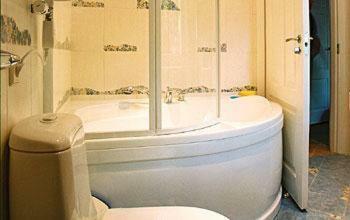 There is a fully equipped kitchen, as well as a bathroom with shower or a bathtub. An apartment with a separate living room with a sofa bed. There is a fully equipped kitchen, as well as a bathroom with shower or a bathtub. Some apartments have a balcony. A studio with cable TV and a bathroom with shower. There is a kitchenette and a seating area. This small studio comes with a dining area and a fully equipped kitchenette, bathroom with shower, cable TV and free Wi-Fi. House Rules Kaunas Apartments takes special requests – add in the next step! Guests are advised to contact Kaunas Apartments before their arrival to provide their check-in time. A free pick-up services from Kaunas bus and train station is available, and there are also pick-up services from Kaunas or Vilnius airports for an extra charge. Please inform Kaunas Apartments of your expected arrival time in advance. You can use the Special Requests box when booking, or contact the property directly using the contact details in your confirmation. The sleeping area is a little loft area up a ladder over the kitchen. Tres cool! But it's still just a thin futon mattress on the floor like my first shared apartment. Lack of paper towels, but we had material one, so it was more environment friendly. The warmest apartment in whole Kaunas. Warm heaters, hot water immediately, next to Hesburger, next to freshly repaired walking path. Perfect location with perfect free parking place. We cannot get better. This is like a home. peace and quiet.. Apartment had a bad smell and wasn`t so clean. I didn't enyoy staying here and never will choose again. Better I'll choose bigger price. All around this building and starcaise was dusty.TV showed very bad.No shower gel.Owner wasn't communicable. Daiva and her staff were very hospitable, nothing was too much trouble. Situated in the centre, close to all the bars shops and restaurants. The hall looks like it's under renovations. No shower curtain makes bathroom lakes inevitable. Only 2 large-ish towels and 2 teeny tiny ones, not that great. Bed, bath and sofa were good. Sound isolation is great. Very friendly host. The apartment was not ready. For example there were no hand tub in the bathroom. Not very clean, mattress was old and broken. Not comfortable at all, all I felt all night done metal poking my back. The best thing about this place is locations. 9 out of 10 for the location. i really love the room: it was extremely comfy and beautiful! also localization is superb. Since it was been renewed, there was a strong paint smell in the apartment. We felt some stuff was missing: A sink for the kitchen (we cleaned the dishes in the bath), a sink in the bathroom, a closet or hangers for the clothes. However it was very cheap. I expect that these things will be better in the future when the apartments are finished. Nice apartment,good stuff,great location,everything is near by, our dog was welcomed. Clean bathroom,big hot tub.